Girnar Parikrama - It is customary to do a Circumambulation to the Girnar mountain range - basically a &apos;Pradakshina&apos; and often known as &apos;Parikrama&apos;. Girnar Parikrama is said to bear fruits as you do a Pradakshina to all the saints, sadhus, Gods and Godesses who reside in the Girnar mountain range. This Girnar Parikrama, also known as the &apos;Lily Parikrama&apos; is only open for 5 days in a year before Kartiki pournima. This Girnar Parikrama is done only through the Girnar Jungles which otherwise are not allowed by the Forest department for anyone to go in. Several Lakhs of people do this Girnar Parikrama every year which is an amazing display of Faith. The length of the Girnar Parikrama is about 38 kms starting from Rupayatan and ending at Girnar Talethi. 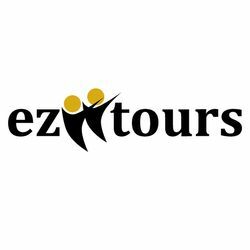 Girnar Parikrama with EziiTours is interesting. In our Girnar Parikrama we intend to explore many parts of Girnar and not just the parikrama alone. Our Girnar Parikrama plan allows you to pay a visit to the near by Datar Mountain which is a holy place for the Nath Sampradaya and also visit Nath Dhuni. The trek to Nath Dhuni is of moderate difficulty. The second day of our trip we actually do the reverred Girnar Parikrama. This Girnar Parikrama is of 36 kms - however due to non availability of autos we have to walk 2 kms more. • Visit Navnath Dhuni (there are no steps to climb here, it is a trek of about an hour).